Note: I have left Vienna University of Technology and moved to the University of Toronto. My email in Vienna is defunct and NOT forwarded - please contact me in Toronto. Thanks! Christoph Becker is a Senior Scientist at the Vienna University of Technology, and an Assistant Professor at the Faculty of Information at the University of Toronto, where he leads the Digital Curation Institute. He received his MSc in Software Engineering, MSc in Business Informatics, and Doctorate in Computer Science in Vienna. After completing his PhD in 2010 with a thesis on decision making in digital preservation, he spent a winter in Lisbon with the Information Systems research group at IST Lisbon. He then returned to Vienna to lead a research program on scalable decision support for digital preservation as part of the large-scale EC-funded project SCAPE: Scalable Preservation Environments, which he co-developed with an international consortium of universities, memory organizations, industrial research and commercial partners. 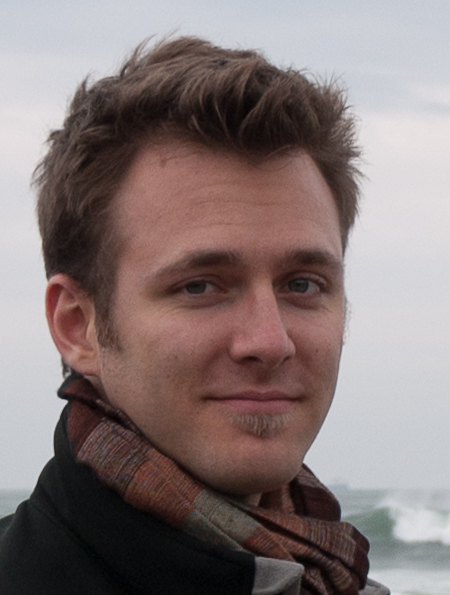 Christoph frequently published in scientific journals and peer-reviewed conferences in the fields of digital libraries, digital curation, digital preservation, and software systems. He is a senior PC member of leading digital libraries conferences including JCDL and TPDL and has organized a series of workshops to promote emerging research collaborations in the area of digital preservation and sustainability. The transition to a digital society has brought substantial changes to the information professions and new challenges to software and information systems. These systems are now at the backbone of our society, where they are used to safeguard cultural heritage, visualize time series on climate data, create born-digital art, and manage personal health records. They have substantial, far-reaching impact on how we create, disseminate and use information, and they have an increasingly central role in the social, environmental and economic sustainability of the societies on our planet. My research studies digital sustainability from multiple perspectives. The traditional artefact-centered view on information objects that prevails in archives, libraries and museums is fundamentally challenged by born-digital, inherently computational networked digital objects. The sustainability of these objects is not anymore a static property of the artefacts, as it generally is with physical books. Instead, it is a systemic property of computer files, software elements, hardware components, organizational structures and distributed networks: The interaction of these is what keeps digital objects alive. I have become very interested in employing systems thinking to better understand the systemic phenomenon of sustainability. In this, I build on my understanding of software systems engineering, decision making, and business information systems to develop an integrative long-term perspective on digital sustainability. As a digital preservation scholar, I study the lifecycles of digital objects, formats, software components and digital ecosystems in order to develop models and systems to contribute to the digital sustainability of our cultural memory and scientific record. As an information systems designer and software engineering researcher, I study the process of designing socio-technical systems involving software and how we can consider sustainability as a fundamental design concern in our design decisions. If you want to keep track of my involvement in the SCAPE project, I am trying to blog about it. Vienna University of Technology, March 2006 - May 2007. Vienna University of Technology, March 2004 - March 2006. Vienna University of Technology, October 1999 - March 2004. BenchmarkDP is developing the first coherent, systematic approach to assess and compare digital preservation processes, systems, and organizational capabilities. BenchmarkDP is a multi-year research project (2012 - 2016) funded by the Vienna Science and Technology Fund (WWTF). The aim of SHAMAN is to develop the framework for the next generation of long term (more than one century) digital preservation systems and tools. This includes the definition of a theory of preservation that integrates the analysis, ingestion, management, access to and reuse of information objects across distributed repositories. The data preservation capabilities offered will secure the authenticity and integrity of data objects over time. The Austrian National Library and the Technical University of Vienna were pleased to host the International Conference on Preservation of Digital Objects (iPRES 2010) in Vienna in September 2010. iPRES 2010 was the seventh in the series of annual international conferences that bring together researchers and practitioners from around the world to explore the latest trends, innovations, and practices in preserving our digital heritage. The Planets project brought together European National Libraries and Archives, leading research institutions, and technology companies to address the challenge of preserving access to digital cultural and scientific knowledge. The project developed systems and tools which support the accessibility and use of digital cultural and scientific resources, specifically through the development of novel concepts, techniques and tools to preserve the availability of digital resources over time. The planning tool Plato is a decision support tool that implements a solid preservation planning process and integrates services for content characterisation, preservation action and automatic object comparison in a service-oriented architecture to provide maximum support for preservation planning endeavours. Electronic resources are a central part of our cultural and intellectual heritage; but this material is at risk. Digital memory needs constant management, using new techniques and processes, to contain such risks as technological obsolescence. Risk begins before the digital record is created and continues for as long as the digital object needs to be retained. Digital preservation is too big an issue for individual institutions or even sectors to address independently. Concerted action at both national and international level is required. 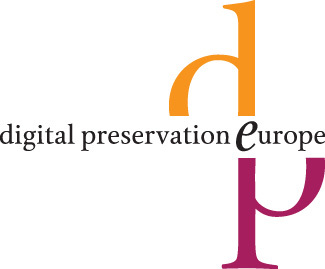 DigitalPreservationEurope facilitates pooling of the complementary expertise that exists across the academic research, cultural, public administration, and industry sectors in Europe. DELOS is a Network of Excellence on Digital Libraries, partially funded by the European Commission's Information Society Technologies Programme (IST). The main objective of DELOS is to coordinate a joint programme of activities of the major European teams working in digital library related areas. Integrated research in the preservation cluster will provide the methodological framework and theory for ensuring that digital libraries research addresses preservation issues and digital libraries incorporate preservation elements in their designs. Diese 2007 durchgeführte Studie beleuchtet die Problemstellungen und Anforderungen bei der Langzeitarchivierung digitaler Fotografien. Wir bieten eine kurze Zusammenfassung sowie den vollständigen Text der Studie zum Download. Best Demo Award at Digital Libraries 2014. The SCAPE Planning and Watch Suite wins the Best Demo award at Digital Libraries 2014, the conjoined conference for both the ACM/IEEE Joint Conference on Digital Libraries and the Theory and Practice of Digital Libraries Conference series. For its ground-breaking and innovative technologies, the PLANETS project was awarded the 2012 Digital Preservation Award for Research & Innovation in Digital Preservation in December 2012. My PhD thesis was selected and shortlisted for the GI-Dissertationspreis 2010. Thesis wins Information Science award: VFI-Förderungspreis 2010. My PhD thesis won the first prize in the 2010 award of the Verein zur Förderung der Informationswissenschaft (Assocation for the Advancement of Information Sciences). The jury said: Die Disssertation von Herrn Becker stellt eine besonders gründliche Analyse des Planungsprozesses für die Langzeitarchivierung digitaler Objekte einschliesslich eines systematischen Ansatzes zur Planung sowie der Erstellung eines inzwischen bereits in der Praxis erprobten Softwaretools zur Planungsunterstützung dar. Shortlisted for the Digital Preservation Award 2010. Plato has been shortlisted for the Digital Preservation Award 2010. Best Demo Award at ECDL 2008. At the European Conference on Digital Libraries 2008, ECDL 2008, the planning tool Plato shared the first prize for the best demonstration of the conference with the search engine Summa. Christoph Becker, Stefanie Betz, Ruzanna Chitchyan, Leticia Duboc, Steve M. Easterbrook, Birgit Penzenstadler, Norbert Seyff, and Colin C. Venters. Requirements: The Key to Sustainability. IEEE Software Special Issue on the Future of Software Engineering, Volume 33, Issue 1, pages 56-65, January 2016. OCLC Systems & Services: International digital library perspectives, Vol. 30 Iss: 4, pp.249 - 284, Emerald Publishing, 2014. Ross King, Rainer Schmidt, Christoph Becker, Sven Schlarb. SCAPE: Big Data meets Digital Preservation. In: ERCIM News 89, April 2012. In: Ausgezeichnete Informatikdissertationen 2010. GI-Edition: Lecture Notes in Informatics (LNI), 2011. Gesellschaft für Informatik, Boon 2011. ISBN: 978-3-88579-415-8. Christoph Becker and Andreas Rauber. Decision criteria in digital preservation: What to measure and how. Journal of the American Society for Information Science and Technology (JASIST), Volume 62, Issue 6, 1009-1028, June 2011. Mark Guttenbrunner, Christoph Becker and Andreas Rauber. Keeping the Game Alive: Evaluating Strategies for the Preservation of Console Video Games. Improving component selection and monitoring with controlled experimentation and automated measurements. Information and Software Technology, Volume 52, Issue 6, June 2010, Pages 641-655. Christoph Becker, Hannes Kulovits, and Andreas Rauber. Trustworthy Preservation Planning with Plato. ERCIM News 80, p.24-25, January 2010. Christoph Becker, Hannes Kulovits, Mark Guttenbrunner, Stephan Strodl, Andreas Rauber, and Hans Hofman. Systematic planning for digital preservation: Evaluating potential strategies and building preservation plans. International Journal on Digital Libraries (IJDL), Volume 10, Issue 4, December 2009. Stephan Strodl, Christoph Becker, Andreas Rauber. Yin-Leng Theng, Schubert Foo, Dion Goh, Jin-Cheno Na (eds. ): Handbook of Research on Digital Libraries: Design, Development, and Impact. Information Science Reference, February 2009. Christoph Becker, Andreas Rauber, Volker Heydegger, Jan Schnasse, Manfred Thaller. Systematic Characterisation of Objects in Digital Preservation: The eXtensible Characterisation Languages. Journal of Universal Computer Science (JUCS), vol 14(18), 2936--2952, 2008. Ruzanna Chitchyan, Christoph Becker, Stefani Betz, Leticia Duboc, Birgit Penzenstadler, Norbert Seyff and Colin Venters. Sustainability Design in Requirements Engineering: State of Practice. Emily Maemura, Dylanne Dearborn, Leanne Trimble, Matthew Gertler, Christoph Becker. Identifying RDM drivers, gaps and opportunities: A baseline assessment. 11th International Digital Curation Conference (IDCC), Amsterdam, February 2016. Stefanie Betz, Christoph Becker, Ruzanna Chitchyan, Leticia Duboc, Steve Easterbrook, Birgit Penzenstadler, Norbert Seyff, Colin Venters. Sustainability Debt: A Metaphor to Support Sustainability Design Decisions. 4th International Workshop on Requirements Engineering for Sustainable Systems (RE4SUSY 2015) at the IEEE International Requirements Engineering Conference (RE 2015). August 2015, Ottawa. Christoph Becker, Ruzanna Chitchyan, Leticia Duboc, Steve Easterbrook, Birgit Penzenstadler, Norbert Seyff, Colin C. Venters. Sustainability Design and Software: The Karlskrona Manifesto. In: International Conference on Software Engineering (ICSE) track Software Engineering in Society. Florence, May 2015. Birgit Penzenstadler, Debra Richardson, Bill Tomlinson, Kenneth Fleischmann, Christoph Becker, Lisa Nathan, Eli Blevis, Six Silberman, Beth Karlin, Juliet Norton, Ankita Raturi. ICT for Sustainability - Current and future research directions. Workshop. iConference 2015 Proceedings. Artur Kulmukhametov and Christoph Becker. Content Profiling for Preservation: Improving scale, depth and quality. Kresimir Duretec, Michael Kraxner, Artur Kulmukhametov, Markus Plangg, Christoph Becker and Luis Faria. The SCAPE preservation lifecycle. Ricardo Vieira, Elsa Cardoso and Christoph Becker. A traceable maturity assessment method based on Enterprise Architecture modelling. To appear in the Enterprise Model Analysis Workshop, co-located with EDOC 2014. Artur Kulmukhametov, Markus Plangg and Christoph Becker. Automated Quality Assurance for Migration of Born-digital Images. In: Archiving 2014. Berlin, May. Hannes Kulovits, Michael Kraxner, Markus Plangg, Christoph Becker and Sean Bechhofer. Open Preservation Data: Controlled vocabularies and ontologies for preservation ecosystems. Michael Kraxner, Markus Plangg, Kresimir Duretec, Christoph Becker and Luis Faria. The SCAPE Planning and Watch suite. Luis Faria, Christoph Becker, Kresimir Duretec, Miguel Ferreira and Jose Carlos Ramalho. Supporting the preservation lifecycle in repositories. Presentation at: Open Repositories 2013, Charlottetown, PEI, CA. Christoph Becker and Kresimir Duretec. Free Benchmark Corpora for Preservation Experiments: Using Model-Driven Engineering to Generate Data Sets . In: ACM/IEEE JCDL 2013, July 2013, Indianapolis, USA. Diogo Proenca, Goncalo Antunes, Jose Borbinha, Artur Caetano, Stefan Biffl, Dietmar Winkler, Christoph Becker. Longevity as an Information Systems Design Concern. In: Proceedings of the CAiSE'13 Forum at the 25th International Conference on Advanced Information Systems Engineering (CAiSE), Valencia, Spain, June 20th, 2013. CEUR Workshop Proceedings Vol-998, ISSN 1613-0073. Hannes Kulovits, Christoph Becker and Bjarne Andersen. Scalable preservation decisions: A controlled case study. In: IS&T Archiving, April 2013, Washington, DC, USA. Diogo Proenca, Christoph Becker, Hannes Kulovits, Ricardo Vieira, Goncalo Antunes, Miguel Mira da Silva and Jose Borbinha. Evaluating a Process for Developing a Capability Maturity Model. In the 10th Enterprise Engineering track at ACM SAC 2013, March 2013, Coimbra, Portugal. Christoph Becker, Michael Kraxner, Markus Plangg and Andreas Rauber. Improving decision support for software component selection through systematic cross-referencing and analysis of multiple decision criteria. In: HICSS 2013 Multi-criteria Decision Support, January 2013, Maui, USA. Luis Faria, Christoph Becker, Petar Petrov, Kresimir Duretec, Miguel Ferreira and Jose Ramalho. Design and architecture of a novel preservation watch system. In: 14th International Conference on Asia-Pacific Digital Libraries (ICADL 2012), Taipei, Taiwan, November 12-15, 2012. .
Petar Petrov and Christoph Becker. Large-scale content profiling for preservation analysis. In: 9th International Conference on Preservation of Digital Objects (IPRES 2012), Toronto, October 2012. Goncalo Antunes, Diogo Proenca, Jose Barateiro, Ricardo Vieira, Jose Borbinha and Christoph Becker. Assessing Digital Preservation Capabilities Using a Checklist Assessment Method. Christoph Becker, Kresimir Duretec, Petar Petrov, Luis Faria, Miguel Ferreira and Jose Carlos Ramalho. Preservation Watch: What to monitor and how. Hannes Kulovits, Christoph Becker, Andreas Rauber. Roles and responsibilities in digital preservation decision making: Towards effective governance. In: The Memory of the World in the Digital Age: Digitization and Preservation. UNESCO, Vancouver, September 2012. Markus Hamm and Christoph Becker. Impact Assessment of Decision Criteria in Preservation Planning. Christoph Becker, Goncalo Antunes, Jose Barateiro and Ricardo Vieira. A Capability Model for Digital Preservation: Analysing Concerns, Drivers, Constraints, Capabilities and Maturities. Stephan Bauer and Christoph Becker. Automated Preservation: The Case of Digital Raw Photographs. Quality Assurance in Document Conversion: A HIT? Christoph Becker, Goncalo Antunes, Jose Barateiro, Ricardo Vieira and Jose Borbinha. Control Objectives for DP: Digital Preservation as an Integrated Part of IT Governance. Goncalo Antunes, Jose Barateiro, Christoph Becker, Ricardo Vieira, and Jose Borbinha. Modeling Contextual Concerns in Enterprise Architecture. Christoph Becker, Jose Barateiro, Goncalo Antunes, Ricardo Vieira, and Jose Borbinha. On the relevance of Enterprise Architecture and IT Governance for Digital Preservation. IFIP Tenth conference on electronic government (EGOV 2011). August 28 - September 2, 2011, Delft, Netherlands. Preservation Decisions: Terms and Conditions apply. Challenges, Misperceptions and Lessons Learned in Preservation Planning. In: ACM/IEEE Joint Conference on Digital Libraries (JCDL 2011). June 13-17, 2011, Ottawa, Canada. Christoph Becker, Goncalo Antunes, Jose Barateiro, Ricardo Vieira, and Jose Borbinha. Modeling Digital Preservation Capabilities in Enterprise Architecture. In: 12th Annual International Conference on Digital Government Research (dg.o 2011). University of Maryland, College Park MD, June 2011. Christoph Becker, Hannes Kulovits, Michael Kraxner, Riccardo Gottardi, Andreas Rauber, and Randolph Welte. Adding quality-awareness to evaluate migration web-services and remote emulation for digital preservation. In: Proceedings of the 13th European Conference on Digital Libraries, ECDL 2009, Corfu, Greece, September 2009. LNCS 5714, Springer. Christoph Becker, Hannes Kulovits, Michael Kraxner, Riccardo Gottardi, and Andreas Rauber. An Extensible Monitoring Framework for Measuring and Evaluating Tool Performance in a Service-oriented Architecture. In: Proceedings of the 9th International Conference on Web Engineering (ICWE 2009), San Sebastian, Spain, June 2009. LNCS 5648, Springer. Requirements modelling and evaluation for digital preservation: A COTS selection method based on controlled experimentation. In: Proceedings of the ACM Symposium on Applied Computing (SAC'09), Track 'Requirements Engineering'. Honolulu, Hawaii, USA, March 9-12, 2009. Mark Guttenbrunner, Christoph Becker, Andreas Rauber, Carmen Kehrberg. In: Proceedings of the Fifth international Conference on Preservation of Digital Objects (iPRES 2008). London, UK, September 29-30, 2008. Christoph Becker, Miguel Ferreira, Michael Kraxner, Andreas Rauber, Ana Alice Baptista, José Carlos Ramalho. Distributed Preservation Services: Integrating Planning and Actions. In: Research and Advanced Technology for Digital Libraries. Proceedings of the 12th European Conference on Digital Libraries (ECDL'08). Springer Lecture Notes in Computer Science 5173, p. 25-36. Springer Berlin / Heidelberg, 2008. Hannes Kulovits, Christoph Becker, Michael Kraxner, Florian Motlik, Kevin Stadler, Andreas Rauber. Plato: A Preservation Planning Tool Integrating Preservation Action Services. In: Proceedings of the European Conference on Research and Advanced Technology for Digital Libraries 2008 (ECDL'08). Aarhus, Denmark, September 14-19, 2008. Springer Lecture Notes in Computer Science 5173. Springer Berlin / Heidelberg, 2008. Christoph Becker, Hannes Kulovits, Andreas Rauber, Hans Hofman. Plato: a service-oriented decision support system for preservation planning. In: Proceedings of the ACM/IEEE Joint Conference on Digital Libraries (JCDL'08). Pittsburgh, Pennsylvania , June 16-20, 2008. A Generic XML Language for Characterising Objects to Support Digital Preservation. In: Proceedings of the ACM Symposium on Applied Computing (SAC'08), Track 'Document Engineering'. Fortaleza, Brazil, March 16-20, 2008. Christoph Becker, Günther Kolar, Josef Küng, Andreas Rauber. Preserving Interactive Multimedia Art: A Case Study in Preservation Planning. In: Asian Digital Libraries. Looking Back 10 Years and Forging New Frontiers. Proceedings of the Tenth Conference on Asian Digital Libraries (ICADL'07). Springer Lecture Notes in Computer Science 4822, p. 257-266. Springer Berlin / Heidelberg, 2007. Christoph Becker, Stephan Strodl, Robert Neumayer, Andreas Rauber, Eleonora Nicchiarelli Bettelli, Max Kaiser. Long-Term Preservation of Electronic Theses and Dissertations: A Case Study in Preservation Planning. In: Proceedings of the Ninth Russian National Research Conference on Digital Libraries: Advanced Methods and Technologies, Digital Collections (RCDL'07). Pereslavl, Russia, October 15-18, 2007. Stephan Strodl, Christoph Becker, Robert Neumayer, Andreas Rauber. How to Choose a Digital Preservation Strategy: Evaluating a Preservation Planning Procedure. In: Proceedings of the ACM/IEEE Joint Conference on Digital Libraries (JCDL'07). Vancouver, British Columbia, Canada, June 2007. M. Auer, C. Becker, A. Rauber, S. Biffl: Implicit Analogy-based Cost Estimation Using Textual Use Case Similarities. In: Proceedings of the 2nd International Conference on Intelligent Computing and Information Systems (ICICIS’05), Cairo, March 2005. Christoph Becker, Norman Paton, Rainer Schmidt, Natasa Milic-Frayling, Andreas Rauber, Brian Matthews. Open research challenges and research roadmap for SCAPE. Max Kaiser, Bettina Kann, Sven Schlarb, Christoph Becker, Hannes Kulovits. In: DPC What's New - Issue 35, April 2011. Digital Preservation Coalition, UK. Doctoral thesis, Vienna University of Technology (2010). The myths and fallacies of digital photographs and their preservation. DigitalPreservationEurope Briefing Paper, March 2009. Automating the preservation planning process: An extensible evaluation framework for digital preservation. In: Workshop on Data Analysis (WDA'2008). Stephan Strodl, Christoph Becker, Robert Neumayer, Andreas Rauber, Eleonora Nicchiarelli Bettelli, Max Kaiser, Hans Hofman, Heike Neuroth, Stefan Strathmann, Franca Debole and Giuseppe Amato. Evaluating Preservation Strategies for Electronic Theses and Dissertations. In: Proceedings of the DELOS Conference on Digital Libraries. R Harvey, D Abbott, B Aitken, M Van Ballegooie, C Becker, C Casas Desantes, V Heydegger, Y. Kim, L Konstantelos, A McHugh, S Strodl, and S Ross. 2006. Emerging approaches for digital preservation in digital libraries: Report of the Fifth DELOS International Summer School. Archivi e Computer, XVI (1/06), 95-144. Becker, C.: ReUse Cases: Supporting Knowledge Management and Reuse with Self-Organizing Use Case Maps. A lot of current topics at can be explored in Praktika, bachelor and master theses etc... additional topics upon request, further suggestions welcome. Please contact me for an appointment if you are interested! Some examples below. Stefan Schindler: File Format Analysis - Monitoring the Life Cycle of File Formats in the Internet. Master thesis, 2013. Clemens Sauerwein: Model-Driven Benchmark Data Generation for Digital Preservation of Webpages. Master thesis, 2013. Harald Mezensky. A Model Driven Approach to Generate Ground Truth Data for Digital Preservation. Master thesis, 2013. Petar Petrov: Content Profiling for Digital Preservation. Master thesis, 2013, see also the paper at IPRES2012 and the project page. Markus Hamm: Impact Assessment of Decision Criteria in Multi Criteria Decision Analysis for Digital Preservation. Master thesis, 2011, see also the paper at IPRES2011. Riccardo Gottardi: Complex Digital Object Preservation. Master thesis, 2010. Michael Kraxner: Maintaining a Preservation Plan. Bachelor thesis, 2009. Petar Petrov: Challenges and Opportunities in Personal Health-Care Management: A concept for supporting diabetics. Bachelor thesis, 2009. Mark Guttenbrunner: Digital Preservation of Video Games. Master thesis, completed September 2007, see also the paper at IPRES2008. Reviewing: Among others, I have reviewed and am reviewing for the following venues. Invited keynote for BIREDIAL 2013, San Jose, Costa Rica. Preservation Planning: which criteria matter, and how can we measure them? Tutorial given at the ACM/IEEE Joint Conference on Digital Libraries (JCDL) in Ottawa, Canada, June 2011. Component selection in Digital Preservation: Preservation Planning as a Decision Problem. Invited talk at IST Lisbon, December 2010. Digital Preservation: Challenges, Solutions, and Approaches to Accountable Planning of Digital Preservation. Tutorial given at the International Conference on Digital Libraries in New Delhi, India, February 2010. Preservation Planning in Planets. Invited talk at the DPC workshop on JPEG2000. British Library, June 2007.